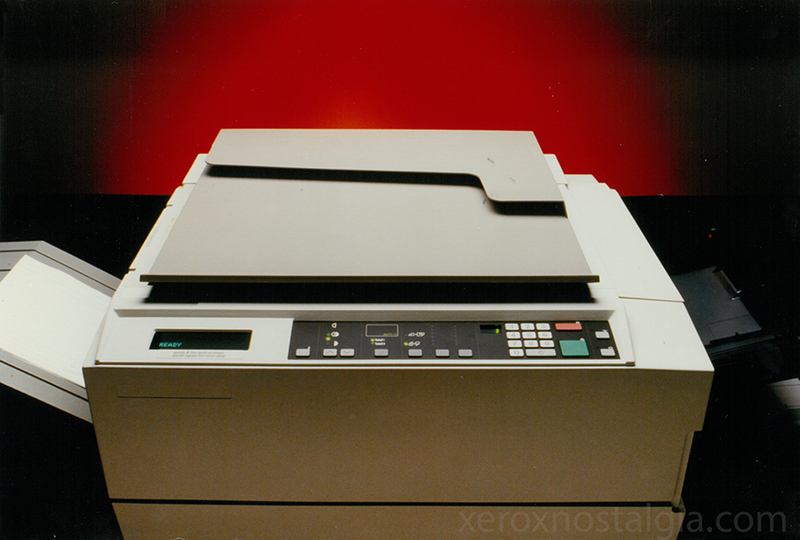 January 1983: Xerox announces the 2nd copier in the 10-series, the Xerox 1035. Four modes of reduction and two modes of enlargement; makes 20 copies a minute. A3 copies; 12 copies per minute. A3 original could be reduced to a manageable A4 size for filing or for inclusion in reports. Or a section of a document could be enlarged to make fine detail easier to read. For easy referance the reduction facility can copy 'pairs' of documents onto one A4 sheet. Or use a combination of enlargement and reduction to suit the your needs. Two paper trays, of 250 sheets each, gives push-button selection of any two sizes from A4, B4, A4, A5 or non-standard copy paper. The Xerox 1035 was a Fuji Xerox designed product, and was assembled in Mitcheldean and in Nigeria according to Rank Xerox International Report of 1984.